Enjoy a free one hour of guided movement with Michael Molin-Skelton! This movement experience was created as part of the ONEDANCE – global movement prayers that took place Earth Day 2014 and ended on International Peace Day 2015. The ONEDANCE webcasts consist of one hour of music and guidance offered by international conscious movement teachers of different modalities though OneDanceTribe that can be streamed and enjoyed in the comfort of your home. They are an open invitation for anyone, anywhere to access free music and facilitation and dance for peace. This session was created by Michael Molin-Skelton who has been on faculty since the birth of OneDanceTribe. DISCLAIMER: Please note these ONEDANCE Movement Prayers are not 5Rhythms events. They are intended for use in private settings and cannot be used to hold classes. The tracks are produced thanks to the generous contributions of the artists and teachers and cannot be downloaded, reproduced or used for commercial purposes of any kind. Michael Molin-Skelton listens to prayers in the wind and hears music, looks into the window “pains” of the heart and feels rhythm, touches the world through movement and knows spirit. he invites you to collaborate as we co-create this journey together. michael reaches through dance rather than teaches to dance. he has been dancing since being pushed through the birth canal. after receiving a bachelor of fine arts degree from ucla he performed and choreographed in companies both nationally and internationally for 15 years. he met gabrielle roth early in 1994. later that year, at the request of gabrielle, he began teaching the 5rhythms. 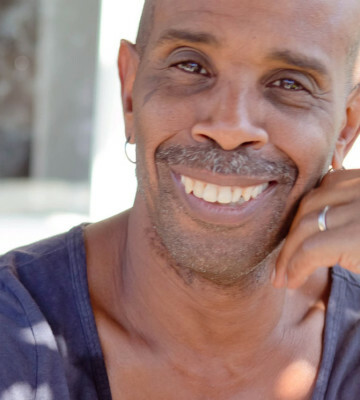 michael got his 5rhythms certification in 1998 and teacher certification in soul motion in 2001. he has been a 16 year student of continuum montage with susan harper and his teaching of the 5rhythms and soul motion has been greatly influenced by her mentoring. he is a certified esalen massage practitioner since 1995 and is passionate about the art of touch. michael met anneli …….. and the world stopped. he is incurably and hopelessly in love and that constant smile on his face is the result of a heart that has been touched by an angel lightly draped in human skin. in october of 2011 they were blessed with the ultimate miracle; his name is jaylan kyan and he is the physical expression of their living love. michael hates talking about himself in the third person and hopes to see you in person somewhere within the dance. Donna De Lory with a string of best-selling and much-loved albums—including Bliss (2000), In the Glow (2003), The Lover and The Beloved (2004), Sky is Open (2006), Sanctuary (2008), Remixes (2010) and The Unchanging (2013)—Donna has become one of the reigning queens of world devotional music. Before dedicating her life to singing sacred mantras and lyrics of spiritual aspiration, she traveled the globe for 20 years as a backup singer and dancer for Madonna, appearing in the documentary film Truth or Dare and on stage with the pop icon during numerous legendary tours.